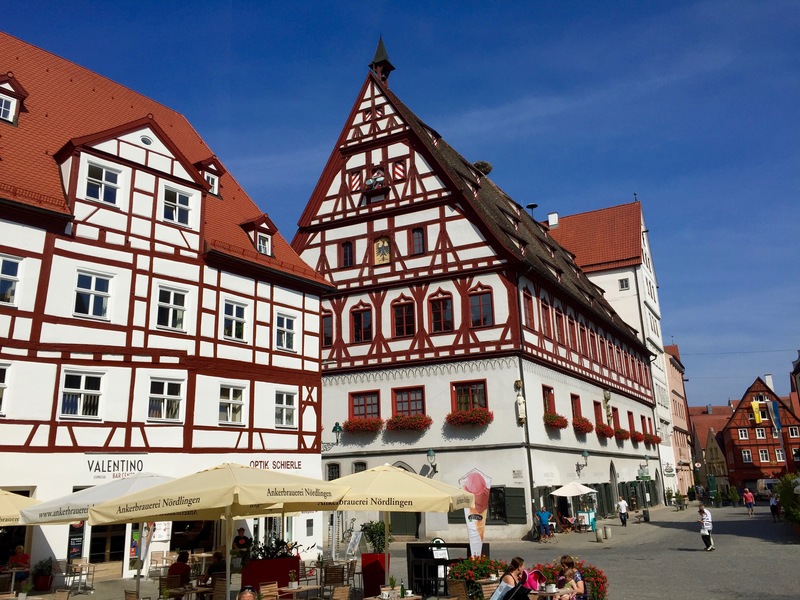 Part 1 of our journey along the romantic road brought us from Fussen at the southern most point on this drive to a small town near the town of Nordlingen. 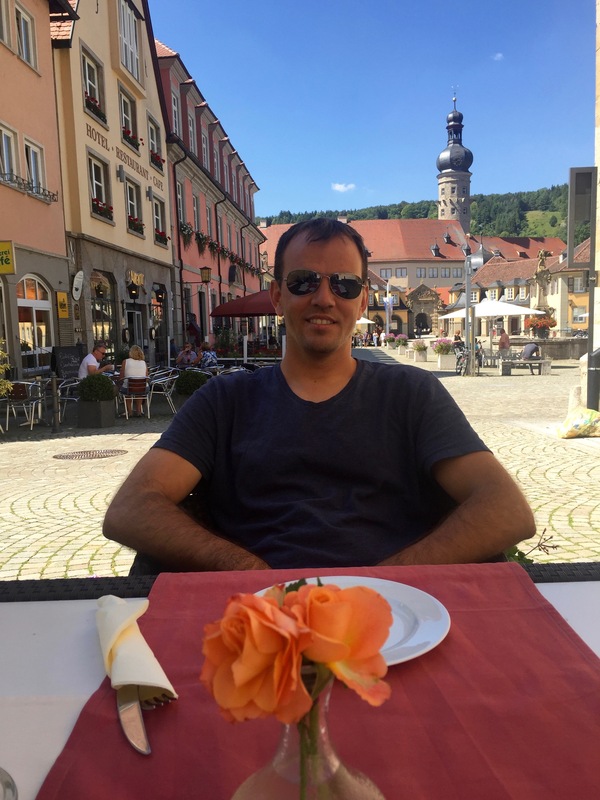 We left off after checking in our less than pleasing accommodations in the town of Aalen and settling down for a nice meal at a Greek restaurant before calling it a night. Eager to get out of the “hotel” that we were not expecting to be in, we left Aalen very early. 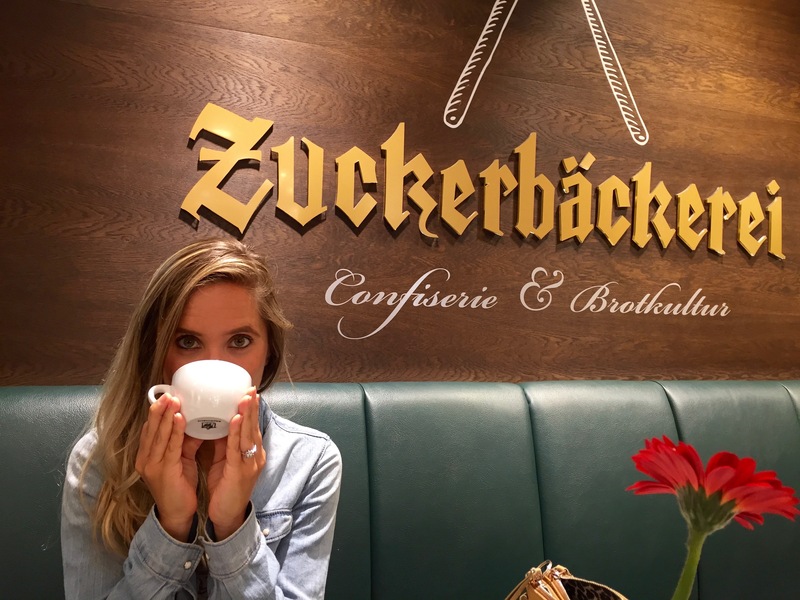 We headed straight to Nordlingen and found ourselves in the city center sharing a few cappuccinos while we woke up. 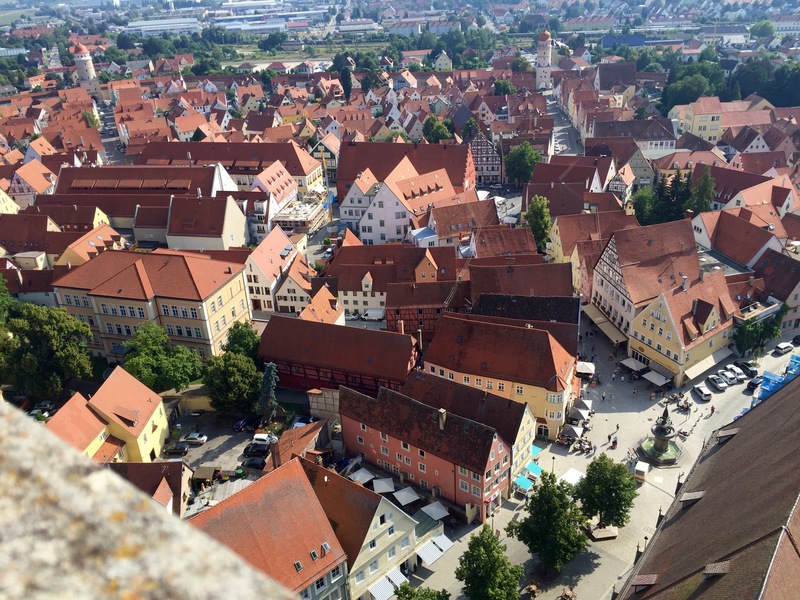 First on the list for this town was to climb their church tower to get a view of this town. (We found another hobby; when not hiking we are climbing towers). We could see all the way around the city with the city walls still protecting the town today. After taking in the views we wandered through a few of the streets before setting off. Having deviated from the Romantic Road the previous day we wanted to go back to the town of Harburg to see one of the castles we missed. We soon arrived at Harburg Castle. 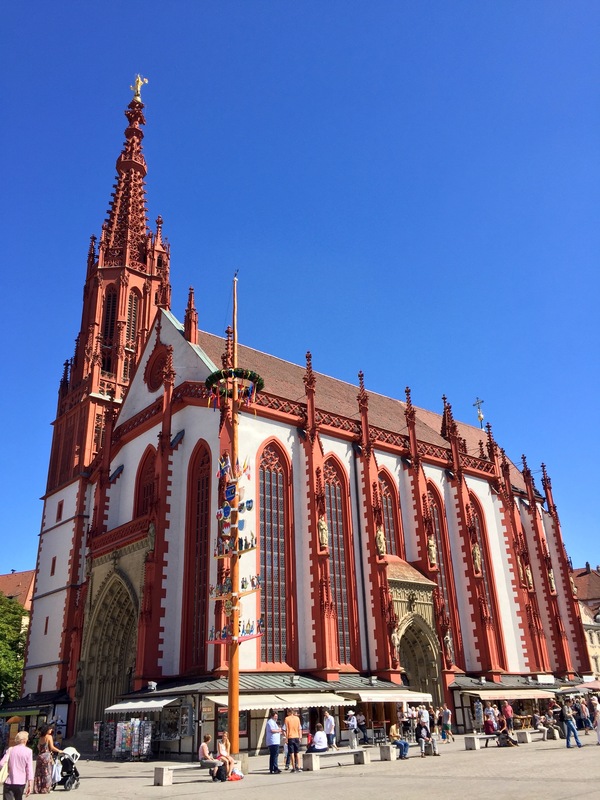 This one stands high above the town and is one of the oldest we saw on this trip – it’s from the 1100’s if you can believe it. Again we didn’t go inside but only wandered into the courtyard for a handful of pictures. Back on the road we entered Shillingsfurst hoping to see an old castle. 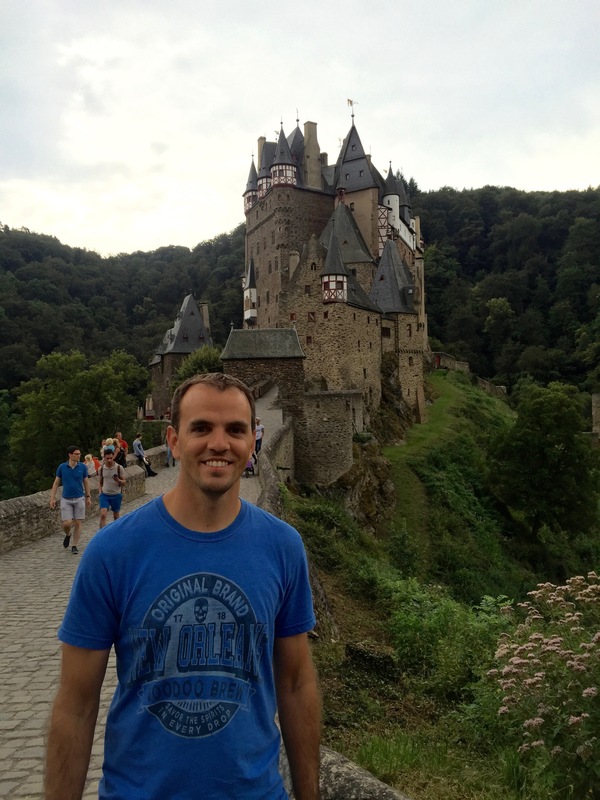 We parked and briskly walked to the castle entrance at just about 4:30pm. We found that they closed within a few minutes of our arrival, but were able to slip in the gate for a couple pictures. Of note, there were a number of large birds (falcons or vultures) with an ankle leash in various areas that must be used for some sort of bird presentation or show…not something we ever wanted to see, but it was too late to try to figure it out. 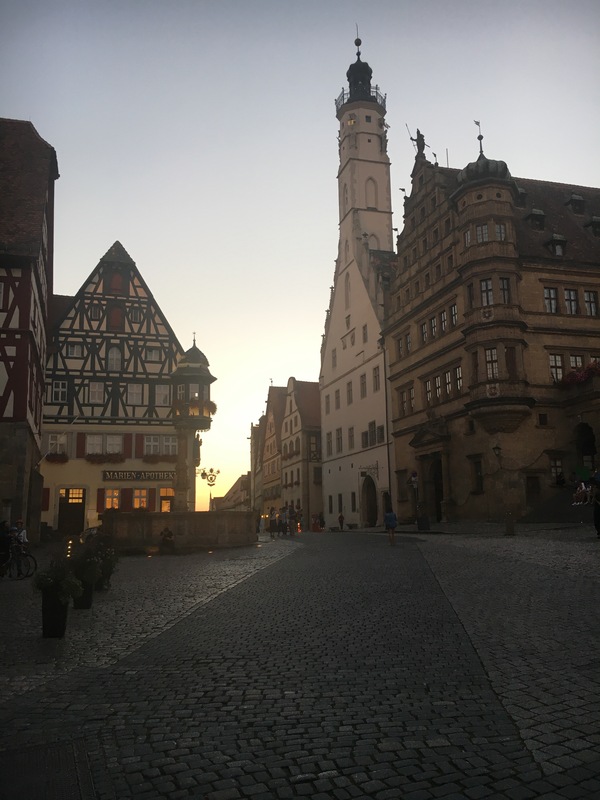 That evening we checked in to our place just outside of Rothenburg ob der Tauber around 6pm. 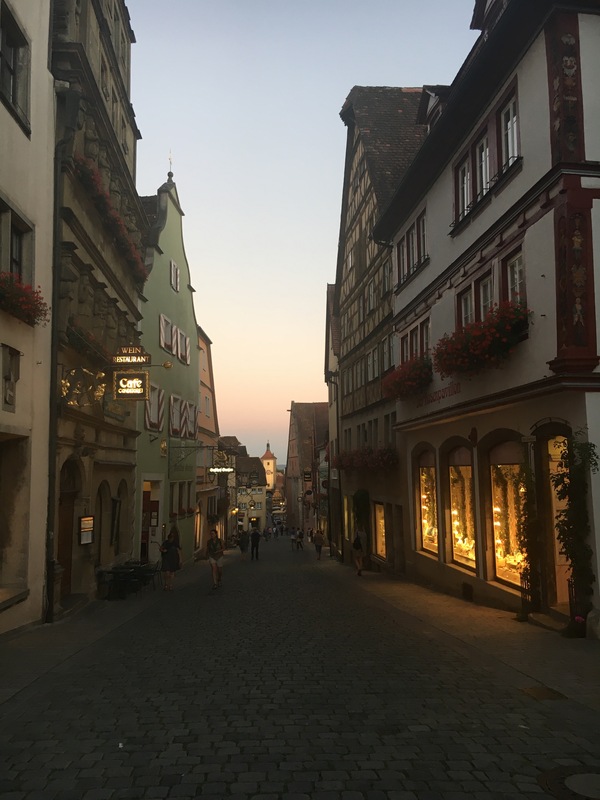 Similar to our time in Landsberg am Lech, we were encouraged by our host to head to downtown Rothenburg ob der Tauber to see the town at night. We nearly made it to one of the evening “night watchman tours,” which looked like it would be excellent, but were too hungry and grabbed dinner instead. This town oozes character, glows at night and should definitely be seen in both daytime and nighttime. 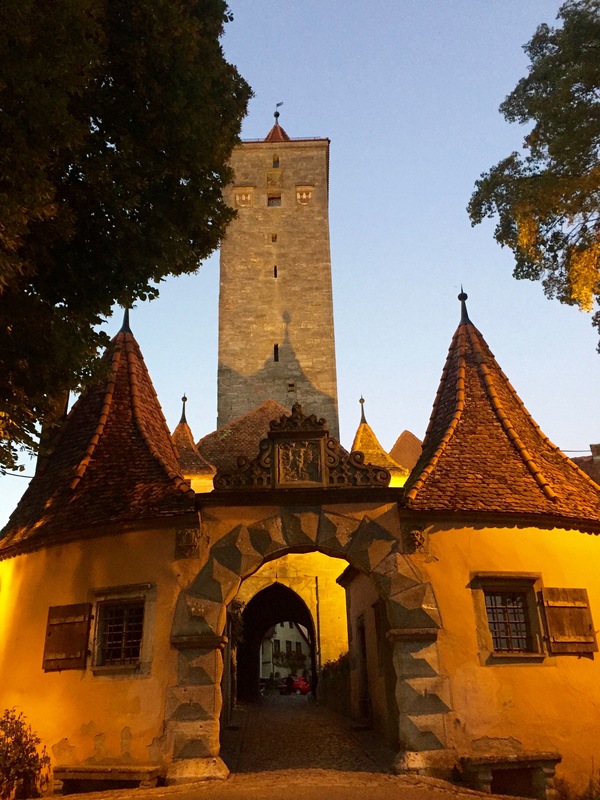 Excited to return to Rothenburg ob der Tauber, we started our day early again. 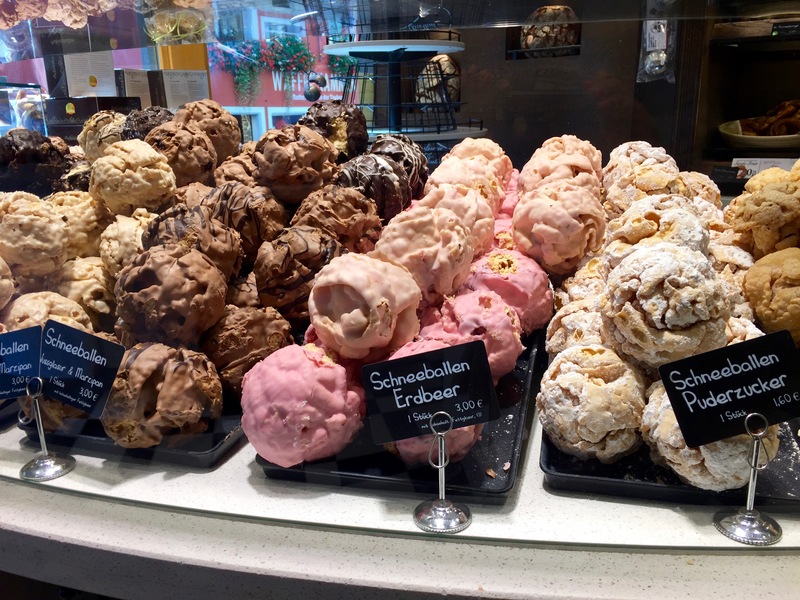 We headed into town looking for some unique German pastries. I was able to finally enjoy a quark; it is a soft sweet cheese filled pastry and it was excellent. 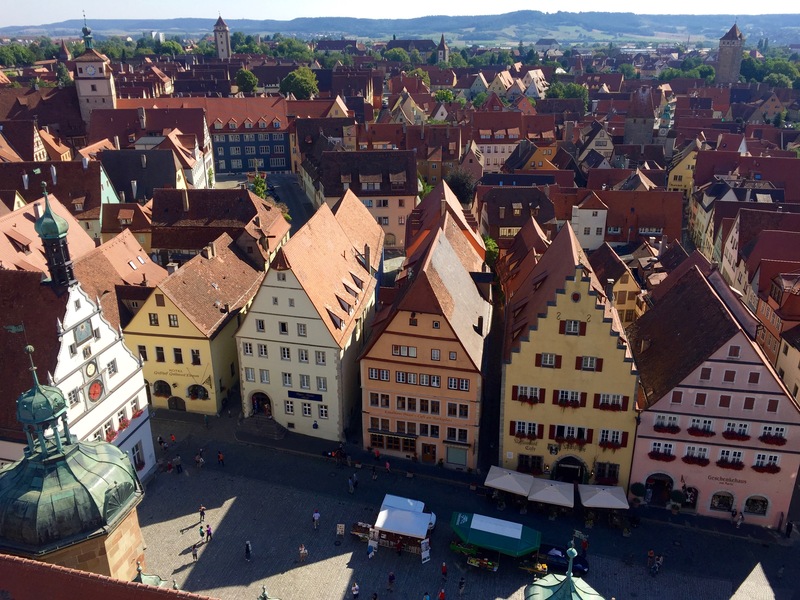 Next we climbed the tower at the old town hall and got our 360 degree view of the city. 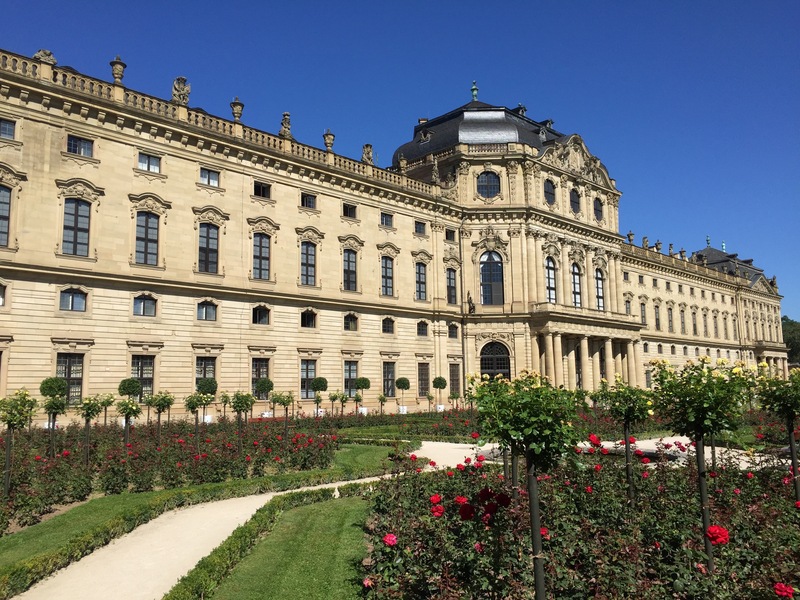 Next, we toured the castle gardens…the castle crumbled in an earthquake in a few hundred years ago with all that remains is the front gate and the gardens. 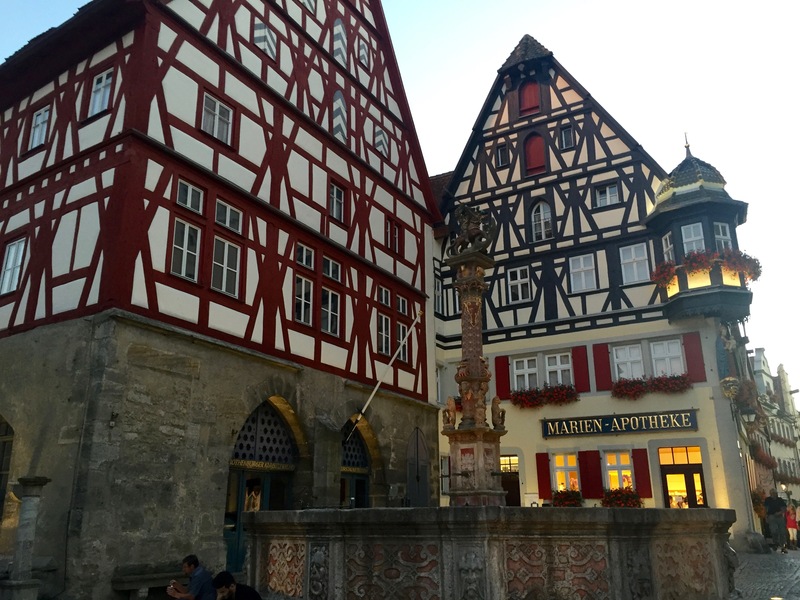 Finally, we had to see the Rothenburg Christmas shop and even entered their Christmas museum. The history was interesting, but the museum was just OK. I’d say just spend time in the store as it is beautifully decorated to the excess making us feel like we were actually in the home of our famous Santa Clause. Our next stop on the road out of town was Creglingen. We barely drove into this town as it looked similar to many of the other small towns we had already seen. 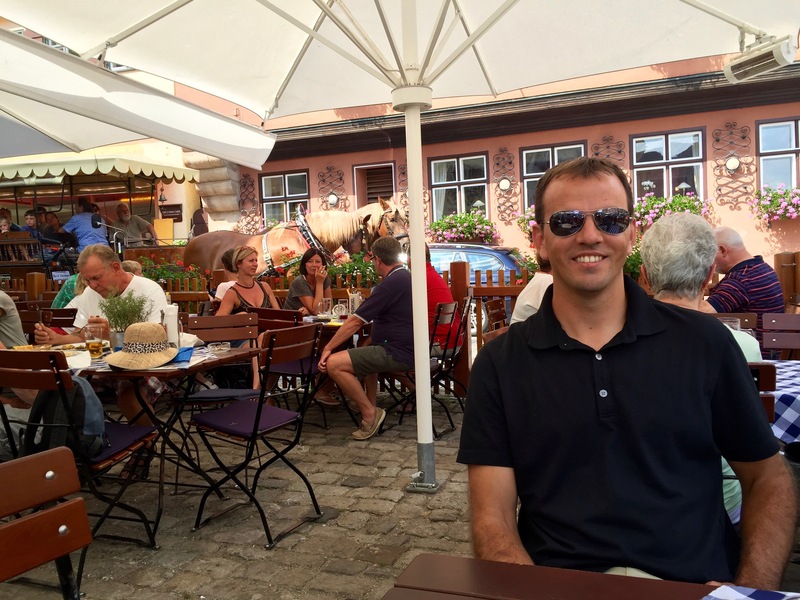 So we headed on to Weikersheim for a late lunch. We entered the square and noticed the numerous hotels surrounding us. We scanned a few menus then sat down at an Italian place to eat. Looking around we were easily half to a third the age of most of the people visiting, but surely that will be Whitney and I someday too. After lunch we discussed getting tickets to see the palace and the gardens in this town as they looked stunning in pictures, but decided against it. 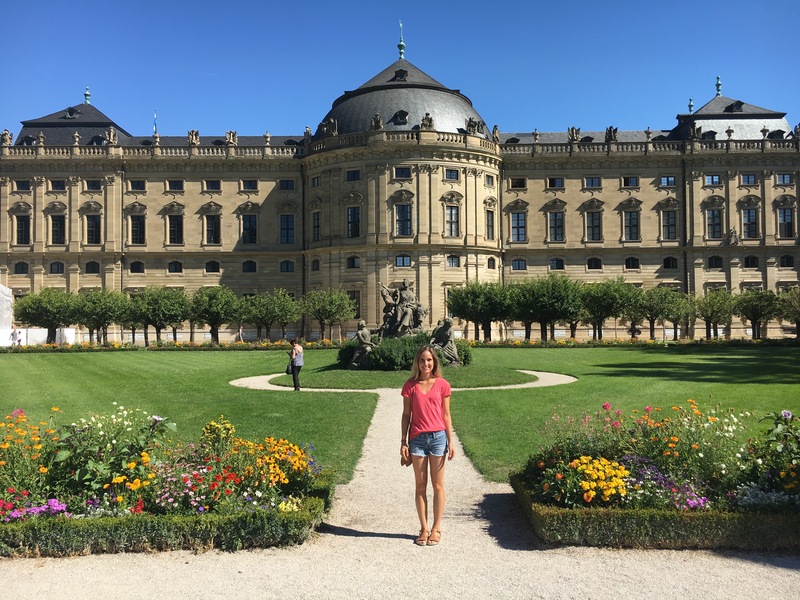 Getting a bit tired of the road trip we cruised into Wurzburg late afternoon and decided to take it easy at our Airbnb for the rest of the day. We both felt like it was time for a break especially with the busy day ahead. 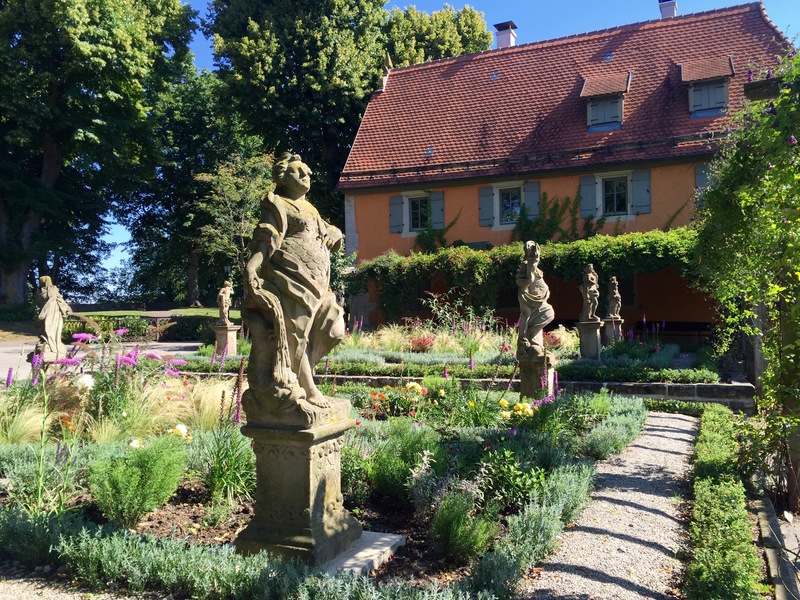 Our final day on the Romantic Road was the longest, but most enjoyable as it was a day of Castles. 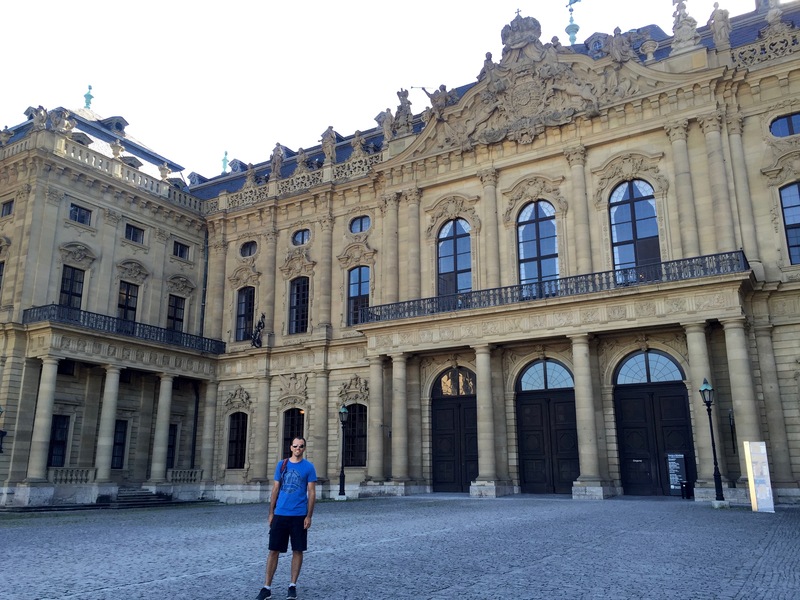 First we headed into Wurzburg to see what this city had to offer. 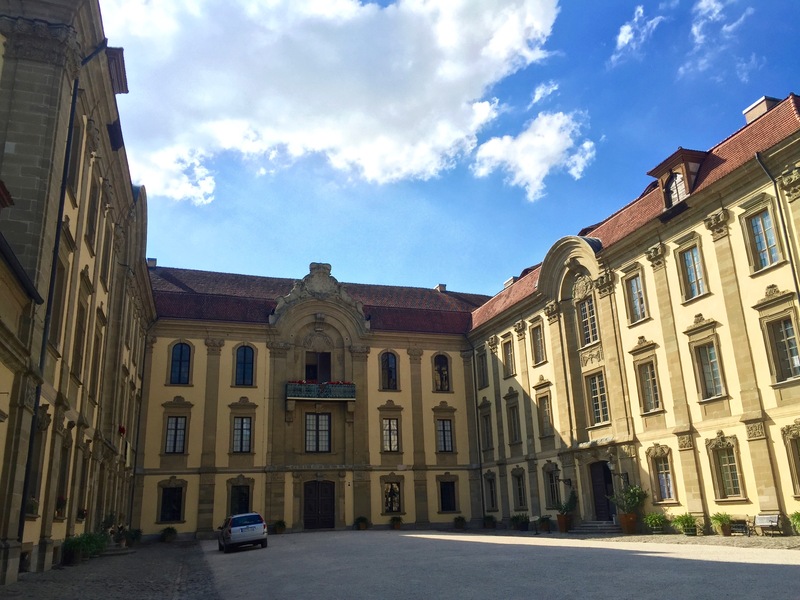 Once parked, we were on track to see the Wurzburg Residenz. This was one of the only castles we toured on the inside and were very pleased with our guide for the visit. We were not planning on having a guided tour, but were ushered into a Taiwanese tour group by one of the English speaking guides at no charge. 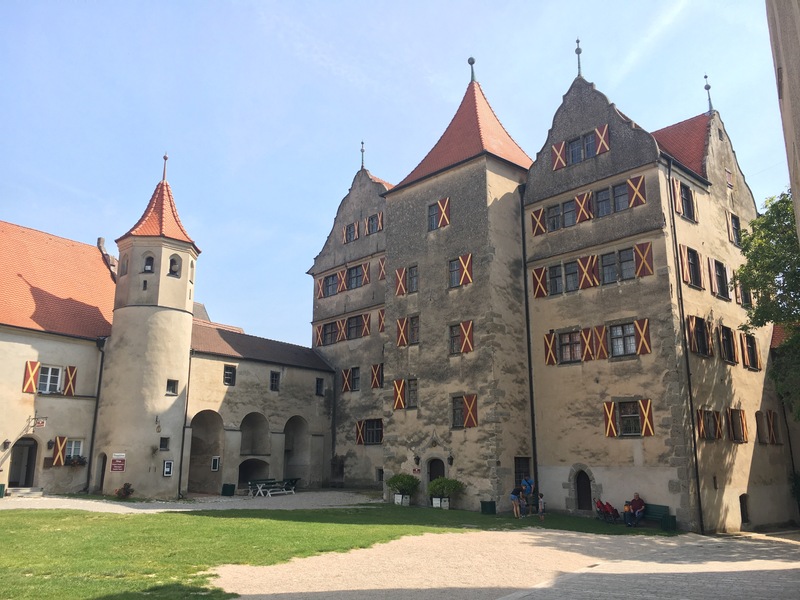 We felt a little out of place at first, but he thoroughly explained the history of the castle with a handful of entertaining stories making it well worth every bit of it. Next we travelled through downtown, past many shops and restaurants. 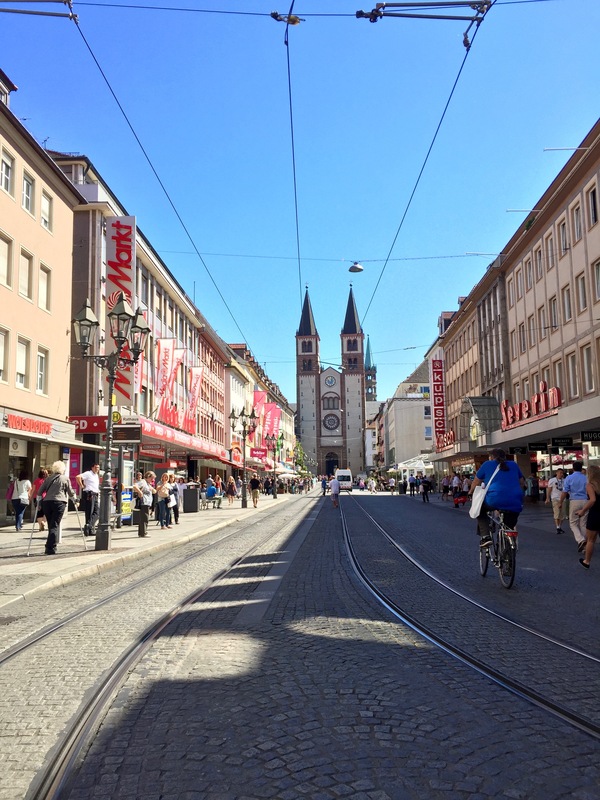 With a simple tourist map in hand, I pointed out a few of the sights as we walked along through the Old Town, seeing Marktplatz, Altes Rathaus, Marienkapelle, and others until we stood on the Alte Mainbrucke looking up at the Marienberg Fortress. This was probably the largest of the towns we visited and could have easily made it at least one full day if not more. 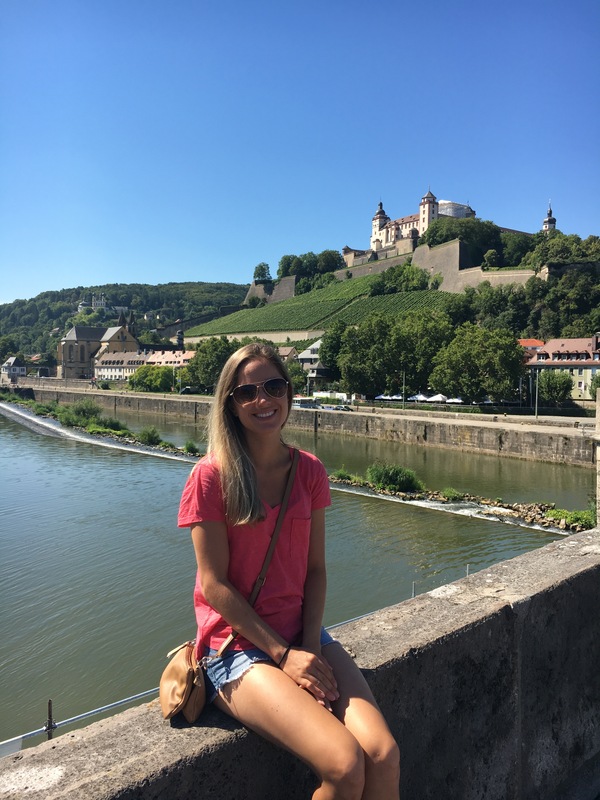 After wandering through the town, we set off to find Marksburg Castle. 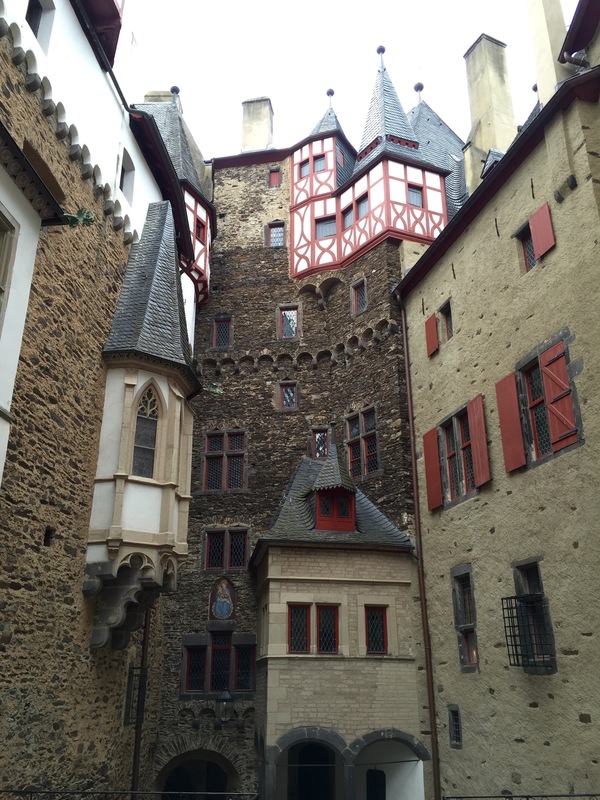 This castle sits high above the town and looks out over the Rhine River. We ran up the hill from the parking only to see the grounds and the view while snapping a few photos to share before we left. The final stop on this road trip was truly the best part. 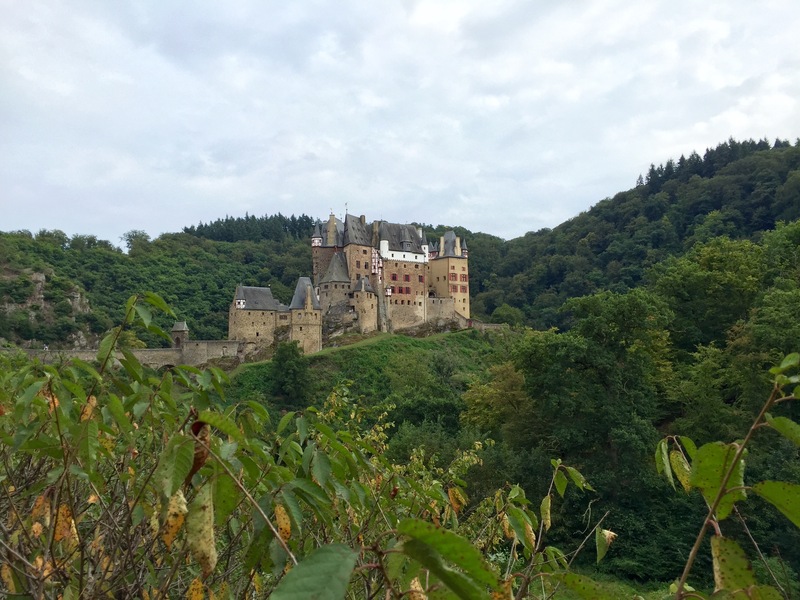 Whitney found Eltz Castle in her research of Germany which is one of the only privately owned castles remaining. Interestingly, it has actually been owned by the same family since being built hundreds of years ago. 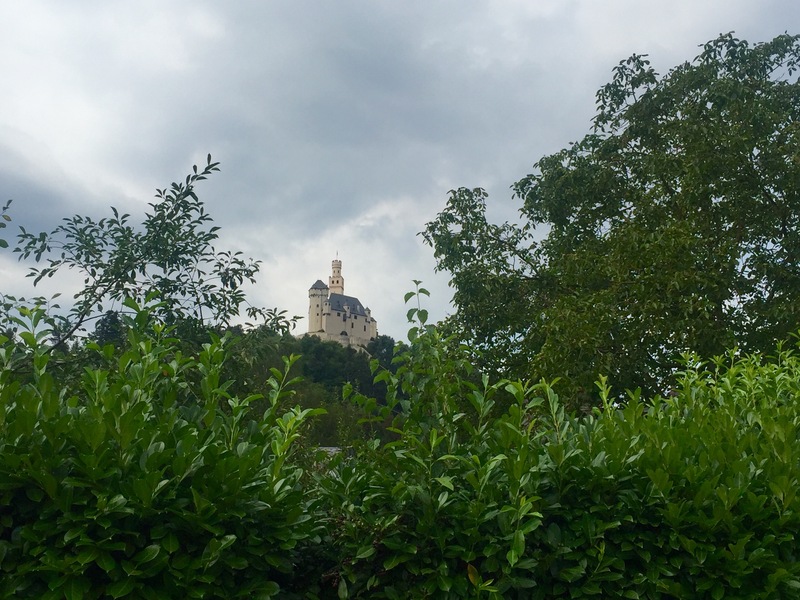 Once we parked, it was about a 20 minute walk long a winding path through the woods which added to the suspense, but once we saw the castle we knew it was worth it. We arrived to the gate, got tickets for the next English speaking tour and explored the inside with our guide. 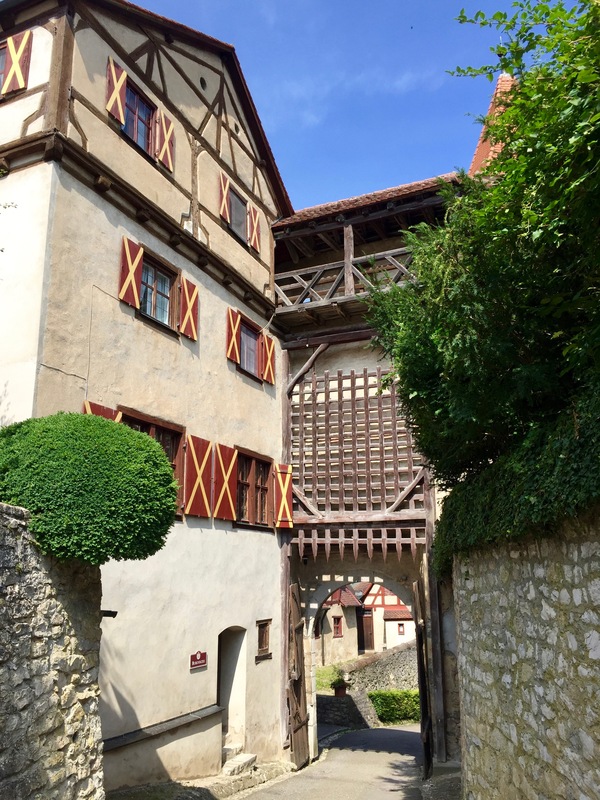 We definitely recommend making a stop here to see this quaint and cozy castle off the beaten path of many others. We packed a lot into these 5 days, and would have spent a bit more time in a few places. If we were to do this again, we would plan on 7-8 days to allow a little more time to rest and even enter and explore a few more of the sights along the way. 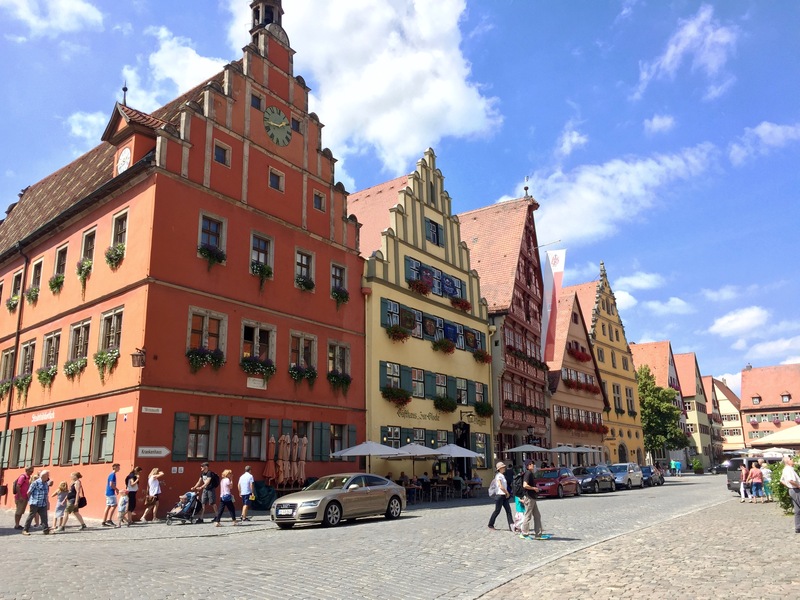 I would suggest spending a full day in Augsburg, Rothenberg ob der Tauber, and Wurzburg, but the others did not really need more than a half-day or couple hours.